If you offer motorcycle recovery services or motorcycle breakdown assistance please get in touch as we would love to hear from you. Gem's customers vote them "The Best Buy In Breakdown". GEM Motoring Assist provides personal motorcycle breakdown cover which means you are covered whoilst riding any bike or driving any car – there’s no need to purchase two policies! 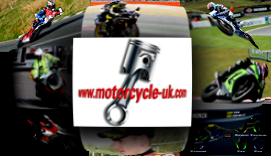 motorcycle-uk.com have negotiated a 15% discount with GEM Motoring Assist for all our web visitors who want Vehicle Breakdown Cover. We were delighted to read the roadside assistance survey in the 2 July edition of Auto Express magazine, in which the feedback of more than 32,000 readers placed GEM Motoring Assist at the top of a line-up of 11 breakdown providers. A combination of value for money, friendliness and helpfulness, general presentation and overall service saw GEM sweep the board with a score of 84.5% - more than three per cent ahead of Autonational, its nearest rival. The RAC took third place (79.55%), with Green Flag in sixth place (78.32%), the AA seventh (78.25), Tesco ninth (77.18%), Direct Line 10th (76.60%) and Churchill at the bottom (75.32%). At GEM we are constantly striving to grow our membership in order to help support our road safety initiatives. Most important, though, is our pledge to offer the very highest overall levels of service, regardless of how big or small we may be.